Ok, this is a post which I've worked on in draft form and set aside for several months. It's complicated. Today the environmental community is split down the middle, whether to reform the international trade in used electronics with R2 and other Fair Trade standards, or to boycott ewaste export trade via E-Stewards. Having posted my own "simple" "Ten Myths about "E-Waste", I wanted something for thoughtful people who have longer attention spans. Debate is fun. One of my favorite books of the past ten years is Bill Bryson's non-fiction "A Short History of Nearly Everything". I admire Bryson's ability to provide so much infomation in such meaningful context without seeming pedantic or dense. He describes the formation of the planets from the perspectives of the early physicists, makes geologists as exciting as movie stars, and recaptures "eureka!" through the eyes of the discoverer. It's an opera of science; reality seems as bizarre as Lost or X-Files. The anecdotes are entertaining and get the point across. I wish I could write about "electronics recycling" markets that way. Bryson tells the story of the formation of the solar system, evolution of life, etc. in a sweet little two-day read. The green drama between BAN and NRDC on the one side and R2, EPA, ISRI, UNCTAD and WR3A should be simple. My dispute with Basel Action Network has nothing to do with pollution, and nothing to do with who cares more about people in the developing world. There are just two ways to get metal - recycling or mining. BAN agrees that metal mining is a disaster. Site: http://www.blueplanetgreenliving.comAbout: See Authors Posts (16)... It quotes BAN from the top, and the author takes them as an authority, stating for the record that the "vast majority" of computers are exported, and that by far, most of those go to "burn villages". BAN is sincere, I guess. But the marketing for the boycott approach is getting ahead of the science. The propaganda campaign is leveraging white guilt for green outcomes, with photos of brown kids hanging out at grey landfills. They feel justified, probably, by their distrust in business motives or outcomes of trade. But R2, EPA, ISRI, UNCTAD and WR3A are a strange set of villains for BAN to wage war against. None of us advocates for disposal of toxics in third world landfills. Part of consensus is to stop impugning the motives of people who disagree with us. I think I've said plenty about them being wrong, or having unintended consequences, and probably make them out to be this side of arrogant. But I don't think I've accused them of more than attraction to job security when it comes to their motives. They want less pollution overseas. The patient needs a second opinion. 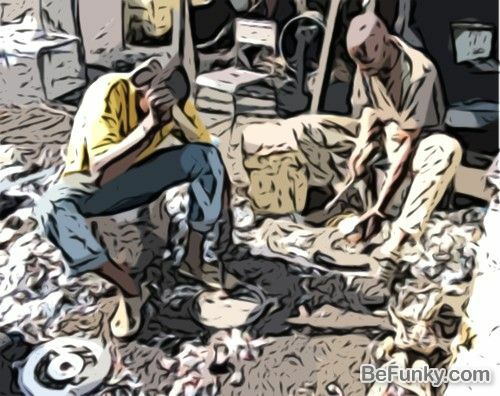 China is starving for plastics and metals, and Africa is hungry for computers. If most recyclers are bad, and most recycling is bad (both contentions of the BluePlanetGreenLiving" post), then most of us should not use our local recycling option, right? Friendly fire, mining wins. Bill Bryson uses analogy to make reasoning and math more accessible... let's try that. How can stricter standards create a bigger mess? BAN requires zookeepers to peel bananas before giving them to monkeys, to avoid peels in the cage. A clean cage is a healthier environment, and they suspect people are throwing empty peels in the cage. But the monkeys are still famished because BAN's zookeepers don't actually peel many of the bananas. They keep the cage free of peels by destroying the bananas, rather than training the monkeys to pick up their own peels. 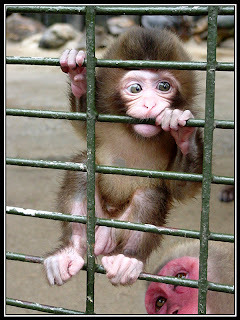 Soon enough, visitors to the zoo start to feed the monkeys, and who knows what they are throwing in the cage. Chaos results, and an even trashier cage. BAN reacts to the lawlessness with a campaign to end monkey cage abuse. Everyone in town is ashamed of our zoo. So the best and most well intentioned of the visitors stop throwing any food into the cage. California is the hippy dippy result. California destroys lots of bananas. Their banana-waste diversion program subsidizes banana disposal... 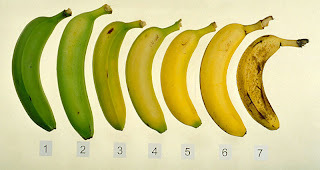 But like a sorcerer's apprentice, the state pays more for banana waste than the value of a #6 ripe banana. California becomes a banana-magnet, a "giant sucking sound" affecting markets in neighboring states, an SB20 robocop funded out of the pockets of California taxpayers. So I suggested that California could reduce its banana recycling costs by diverting peeled bananas, prepared to BAN standards, to feed the monkeys. I try to explain that BAN's problem is the peels, not the bananas, and I begin to make some headway. BAN's inactive zookeepers, who don't have state funding, can throw away unpeeled bananas, and we'll feed the monkeys from California's subsidized system... with some revenue to spare. But triple-hypened regulators are an over-worked and risk-averse bunch. The head California banana regulator worries about bad press over the monkey cages, and anyway, he's got a full time job trying to catch people not shredding their bananas and still taking state funds, or bringing bananas from Arizona, or making sure the tonnage of smashed bananas is cared for in Yuma Arizona or Mexicali Mexico. 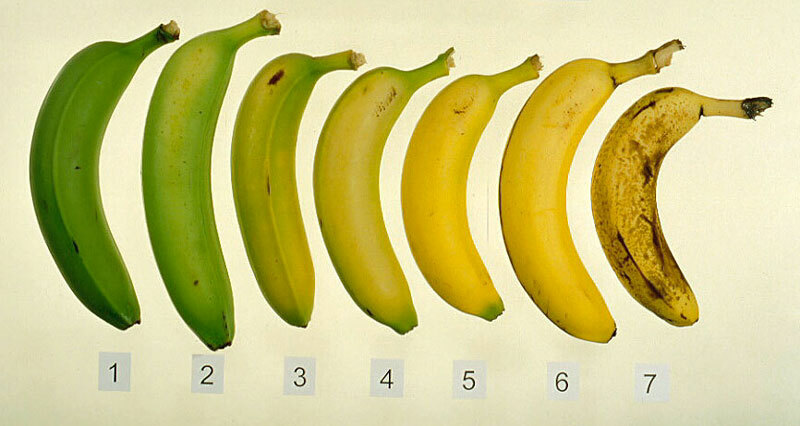 It's a full-time job, checking individual banana origins with dog-eared telephone books in a medieval IRS audit. California is too busy enforcing that the right number of bananas get shredded, and verifying the weight of banana waste, and of course also doesn't want to be responsible for the zoo's cage. So California actually requires their zookeepers to smash each banana, and hires bureaucrats to track the slippery paperwork, and to track that the end markets do NOT include zoos... it's admittedly very thankless work. Along the way, someone with a friend in Europe always peeps in with the precautionary principle... even IF I succeeded in feeding bananas to monkeys, the monkeys will go poop. Poop gets on the floor of the cage. You shouldn't feed a monkey until you come up with a plan for the poop. Now , those familiar with my blog know that in describing the evolution of environmental standards, am I NOT calling Africans, Asians and Latin Americans "hungry monkeys". My entire point is that the technicians overseas are being treated as such (note who is 'running the zoo'). I looked for an online image of the scientist Ape Zera from that terrific scene in "Escape from the Planet of the Apes "... having revealed her intelligence, she discloses her ability to speak with that famous line... "Because I loathe bananas!" These are technicians, technicians who become engineers, and whose kids may grow up to be scientists. In the propaganda war between well meaning environmental organizations, factories far superior than anything existing in the USA have been tarred with the label of unsophisticated "wire burning villages". I was hoping for an Animal Farm effect. Mark Twain has been called a racist for using the n-word to describe Jim in Huckleberry Finn. 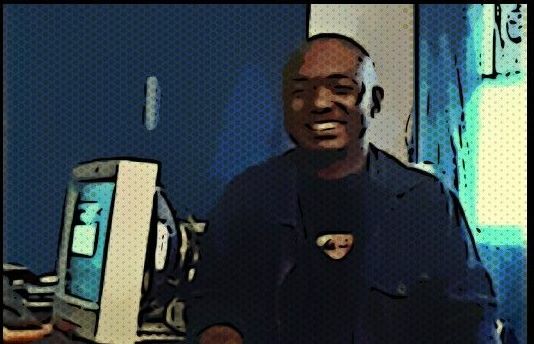 Setting the banana peels aside, here is my business analysis of the junk computer monitors BAN shows in Ghana and Guiyu. I'm able to do this because I am engaged in the trade, I have experience, I want to do the right thing, I follow up on my results, and dammit, I won't shred a banana in sight of a hungry monkey. Q: How do bad monitors get overseas? Follow the money. Start with shipping costs. Someone had to ship them. There are several online sources of freight quotes (they also give you a picture of how complicated it actually is to complete international shipping paperwork). Here is one. My door-to-door rates for the containerload to Dakar Senegal (WR3A video) was about $7000, including taxes and inland freight. Who pays the FREIGHT? Answer 1: Some African businessperson paid $6000 to ship 1000 pieces ($6 each) and then delivered them to the landfill, where the 1000 pieces are broken for $1.65 each in copper. The importer has taken a loss of $6000 - $1650 or ($4,350)... plus in most cases paid the USA shipper for the television or monitor, about $4 each. Net loss to Ghanaian = $8,350 per container, and the apparently insane Ghana Businessman does this over and over again... actually accounting for 80% of all the e-waste recycled in the United States, by paying $8 each for $1.65 worth of copper which he gets somehow from the "burn village". The breakeven point in China is different than in Ghana, and the tolerance for bad units is higher, because of lower shipping costs. Shipping is cheaper to Hong Kong because of the "empty seats" on the sea container vessels (ships have to go back to Hong Kong with empty containers to get more Chinese made stuff for Americans). You can find container rates for China at $2000 (with inland freight) rather than $6,000+ to ports in Africa. Because China has the factories that made the monitors, they also have a higher refurbishing rate for whatever monitors show up. So if the value of the working ones is only $5 (for SKD cores) in Hong Kong, and the scrap copper is still $1.65, you still could not achieve BAN's 80% bad rate and get $2320 to cover the $2000 shipping costs. for more than $0.32 per monitor. If you are paying at least $1.65 (scrap price), plus shipping, that's $3650 per container or $3.65 per monitor. BAN and WR3A are both concerned about 41% scrap. We don't ship to China because it's illegal, but also because the prices make this a possibility. 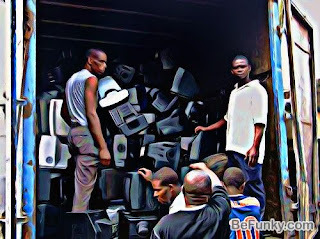 WR3A's "fair trade" solution requires the USA exporter to first document that they remove AT LEAST 30% of the CRTs domestically, before shipping, and to recycle those here. This doesn't guarantee better than 70% good product, but it makes it more likely (breaking good ones and shipping bad ones makes little sense). Second, the WR3A importer must reconcile each load and report how many incidental breakage or bad ones. If they provide glass recycling records, they get paid $3 each (enough to make a profit after copper scrap). The incentive for fraud would be for the importer to over-report bad ones, selling some at $15 but reporting they were bad. Still, WR3A exceeds 85% reuse, and our better members exceed 90%. Then WR3A pays the importer for any and every bad one, which means that if we are still making $1.50 per monitor, we have to be doing better than 80% reuse. And when we ship to a more expensive port - like Penang, Malaysia, the breakeven is even harder to achieve with bad loads. Meanwhile, the documentation on the bad residue shows that the importer is not only providing 85% good product to people in their country - they are also creating a domestic recycling infrastructure. Our longest relationships include buyers who now collect scrap generated in their home countries, and recycling operations which are ISO14001 and ISO9000 certified, have legal import permits, and meet R2 compliance requirements. BAN still maintains that export for repair is illegal. They presume that "fully functional" and "tested working" have a better rate than the 85%, which is far from certain. Chinese refurbishing factories can't work with Japanese CRTs, even working, and since China is a net generator of CRTs, sending them working Japanese CRTs is actually worse than repairable non-working Korean CRTs. Here is the catch-22. The best possible conservative scenario is to ship "fully functional" units, selected by BAN standards, but sell them to the most sophisticated manufacturer takeback sorting, i.e. WR3A standards (working Japanese CRTs removed), sold to the WR3A importer. However, the most professional factories still upgrade the units, and BAN says that the upgrade or refurbishing (making the unit nicer than it was before) may involve removal of parts... e.g. upgrading a 30g working hard drive with a 300g hard drive, or replacing 256k RAM with gig RAM, or in the case of monitors, upgrading the boards and making them new-in-box. BAN therefore appears to maintain that the factory which has done everything right and created a domestic recycling infrastructure has crossed a line into illegality by upgrading "fully functional" items. 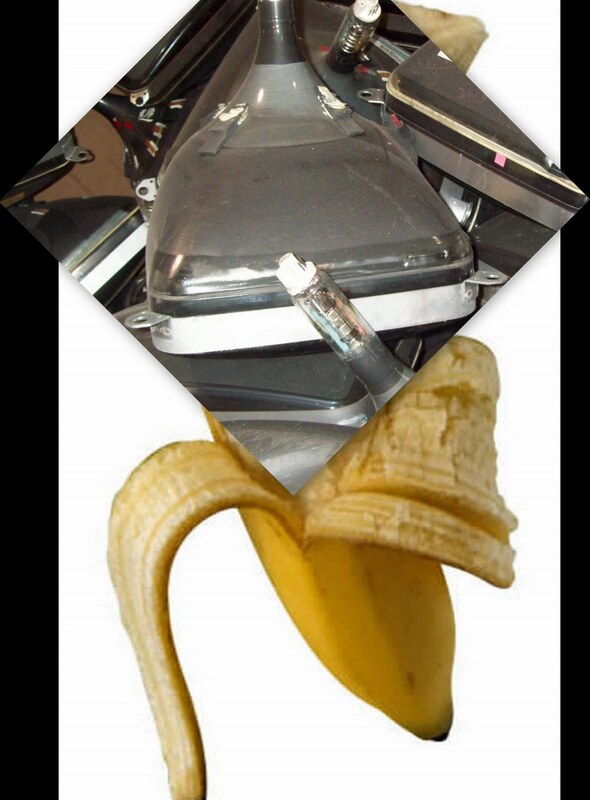 When I brought up this Catch-22 or unintended consequence (directing sales away from the best and brightest importers), BAN suggested that the tubes be removed from the cases... Pre-peel the bananas. This requires a repair person in the USA to remove any parts that might be replaced or upgraded. For example, this would include the 120volt power supply, which is useless in many countries, as well as tuners and capacitors. BAN has recommended that the entire casing of the monitor be removed, and the CRT be sent bare if it is going to be rebuilt. - Outcome #1: The bare tubes are more fragile and have a higher percentage of toxic residue which must then be recycled (CRT glass) by weight than the WR3A shipments. - Outcome #2: Actually, none of the E-Stewards is practicing the tube stripping. 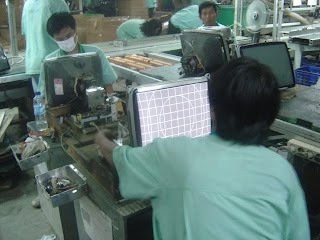 Most of them are destroying the CRTs in the USA and depriving the marketplace of $20 video display units. This leads to shortages, which are filled by less reputable exporters. Those exporters provide the waste at the landfills, which BAN then photographs children next to, providing job security. - Outcome #3: Eliminates Shangri's job. 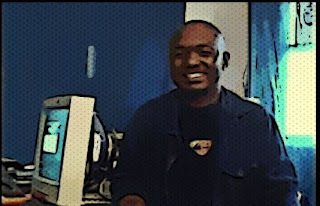 Remember the proud young African tech from Congo in the WR3A video? WR3A requires that any incidental breakage, which occurs more in the BAN method but occurs to some degree in either method, is documented to be recycled glass-to-glass, and the importer is treated fairly, i.e. financially compensated for the recycling costs of the incidental breakage. This gives us good records. Darn. This post, I've been working on it for months, and it's STILL too long. 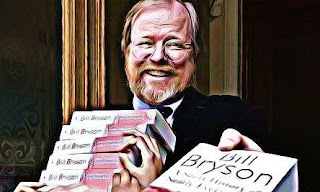 I don't write as well as Bill Bryson. The more technically adept and scientific my posts, the less accessible they are. And the more banana - monkey -zoo my posts are, the more I fall into the oversimplification. I woke up at 3 AM today and have now spent almost 2 hours on this post... this is not a sustainable operation. But it's an ethical one, and the ethics of e-waste are what makes it interesting. Bill Bryson, Mark Twain, Cecil Rhodes, John Cleese and Zera from the Planet of the Apes... and Manuel. It has taken me months to piece this post together, this short history of nearly everything about ewaste, and now that my family is in France (they get more vacation weeks than I do), I can finally sew up the story of e-waste exports. I fly to meet them in Barcelona.